Pattern CQRS and Event Sourcing become more and more popular every day in PHP community. You can easily find lot libraries to store events, to execute commands, to manage repositories, etc. The leader there doesn’t exist yet, but prooph as the most complex solution is close to that position. They have only one problem, documentation. Ok, they have two problems. Documentation and many not to updated examples in their GitHub repository. Because of that and because prooph is de facto five not related components running everything out-of-the-box is really a pain. Even if some examples contain Docker on board or especially then because a tree of dependencies grows fast. When would you like to work with CQRS+ES you have to connect those components somehow. Good luck! I did it. I created the simple example to show how to use all that components, almost without dependencies. You don’t need frameworks here (symfony, laravel, zend), other libraries (uuid, DI), queue systems (rabbitmq, kafka) or external dependencies (docker, vagrant). Everything what do you need is PHP 7.1 and MySQL. In this tutorial I assume that you know the theory about CQRS+ES, you don’t need any explanation why and when it’s better solution than CRUD. If you are looking for this kind of information, please get back to Google. 11 Oh no. Junior Developer cleans up users’ database. 12 User changed their email 80 000 times, and app works slower. I pushed all code into repository on GitHub. You can clone it and run or follow this tutorial. You have to create empty database and add there four tables. Three of them (event_streams, projections, snapshots) are part of prooph, last one (read_users) is used only in this tutorial. When you did it, you have to add autoload to your composer.json. All your code you should store into src catalog, you can start from creating correct structure. When your folders are ready, then you have to add all necessary files. We do that in few steps. You have to create UserRepository. It allows you to save and fetch data from event-store or/and snapshots. Projections are nice feature they allow you to fill read-only database for queries, which should be independent of event-store and can be performed to read data faster. In this tutorial, you will have access to two commands. A first create a new user, a second change email. You have to create here four files. We have two events there. The first one is notification user created an account, the second one is notification user changed his email. Finally. Our Aggregate Root and interface for repositories. The biggest file is config.php. 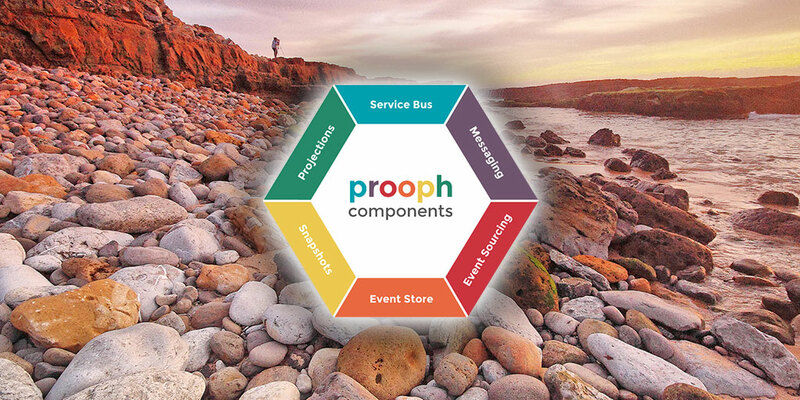 It is because we want to connect all prooph components in single app. In this file, you should update MySQL credential. And this is it. Your prooph app is ready to fun. In next paragraphs, you will see some familiar scenarios. If you want to understand better how prooph works (and CQRS, ES, etc..), you should log all MySQL queries into file and follow them. Bellow, you find easy instruction how to do that. In that case you just need follow that file /usr/local/var/mysql/MacBook-Pro-Marcin-3.log i.e. This is it. You see all queries that are executed in real-time. Oh no. Junior Developer cleans up users’ database. Run script and magic will happen. All data have been restored. User changed their email 80 000 times, and app works slower. Because to fetch information about user prooph has to sum up information from all events that happened it can be slow after some time. You can create snapshots to resolve that problem. Create create_snapshot.php. Run script ./get_user.php again. Check in console and compare how the queries were changed. On the beginning prooph fetches data from snapshot and then gets only data which were added after you did snapshot. I hope you enjoyed this tutorial. If you have some questions, feel free to ask.